The League of EVIL sent Toast a puzzle box he didn’t have time for. The League of EVIL sent out another puzzle box, this time to top Hearthstone streamer Jeremy “Disguised Toast” Wang. Toast eventually “solved” the puzzle box by smashing it with a real war hammer, revealing the new Mage card Mana Cyclone. The card is an Epic Mage minion that cost two mana with two attack and two health. What makes the card shine however is its Battlecry. 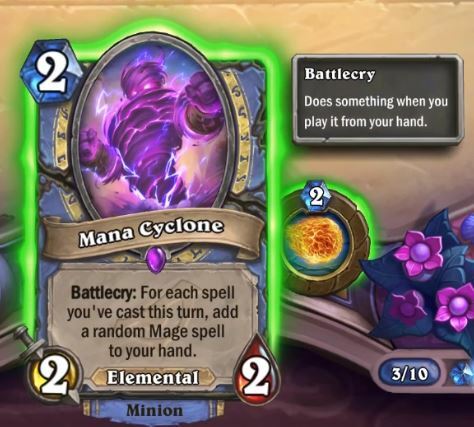 After playing Mana Cyclone, a random Mage spell will be added to your hand for each spell you cast previously in the turn. This is further evidence that Tempo Mage looks to be coming back in a big way. Since Baku the Mooneater is no more, Odd Mage will no longer be the go-to Tempo option. This means Mage players will get to have some fun with even cost cards, something they may have missed out on during most of Rastakhan’s Rumble. Since the card is an Elemental, it will also have a home in Elemental Mage, a deck that tried to make waves over the past few months, but didn’t find significant success. Just like other streamers before him, Toast received a puzzle box from the League of EVIL containing the new card. After trying to solve the box for a few minutes, Toast resorted to his contingency plan—a war hammer. Toast smashed open the box as twitch chat cheered him on, revealing Mana Cyclone to be the new card. 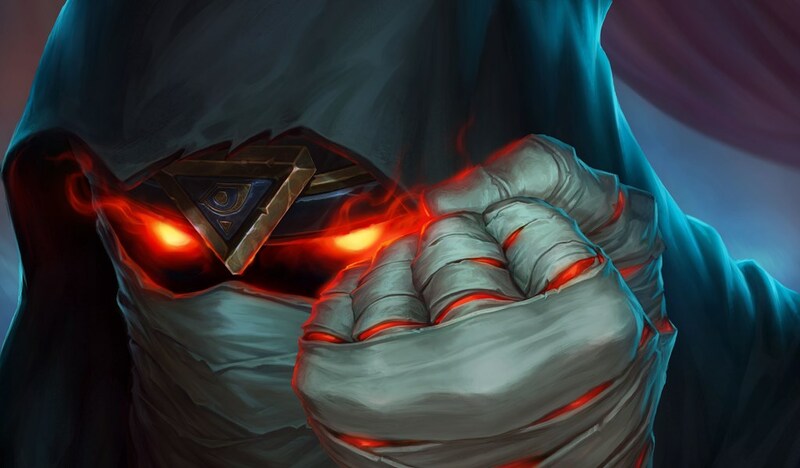 You can play the Rise of Shadows expansion and check out everything new coming to Mage as well as all the other classes on April 9.